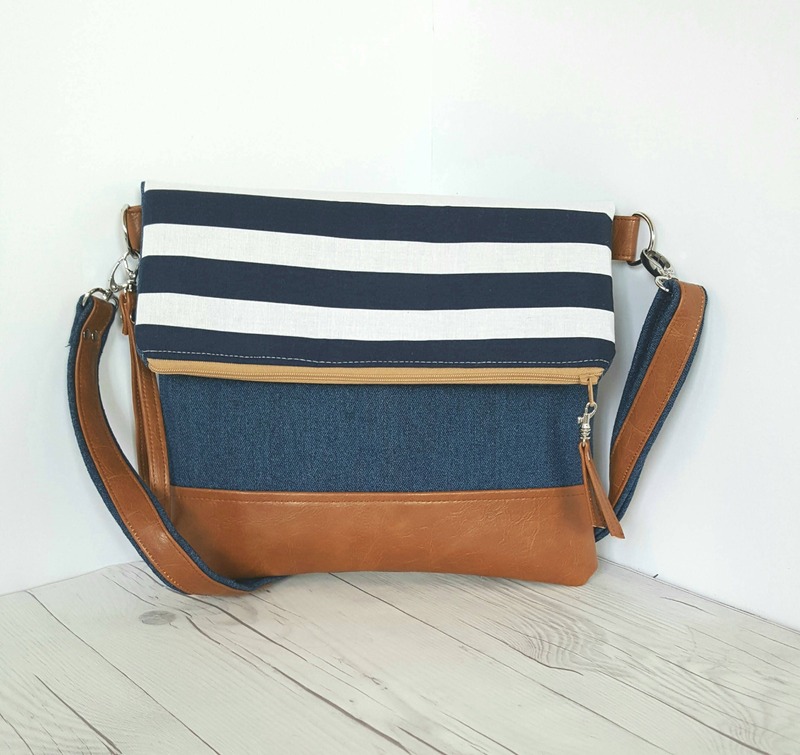 This is a Blue and White Striped Denim and Brown Faux Leather 4 in 1 Crossbody Bag. 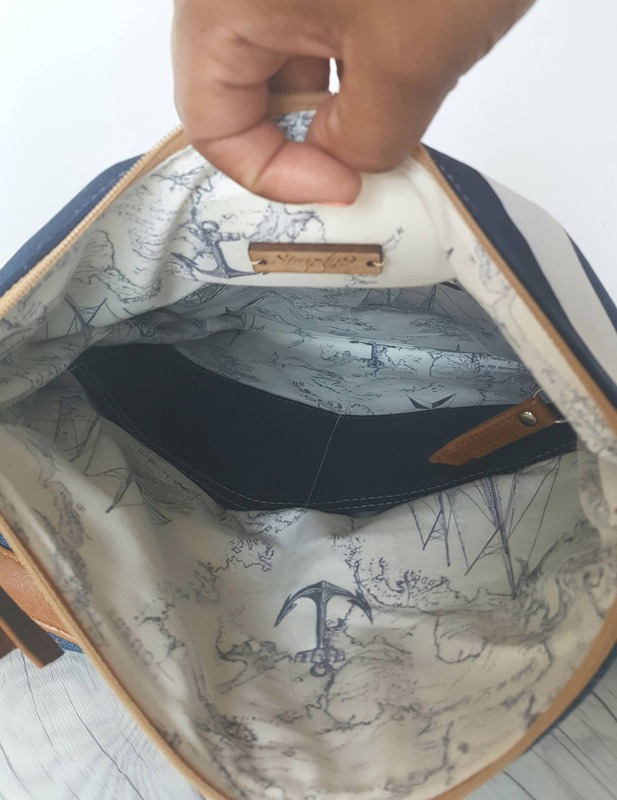 The faux leather bottom will keep your items dry and clean from daily use. 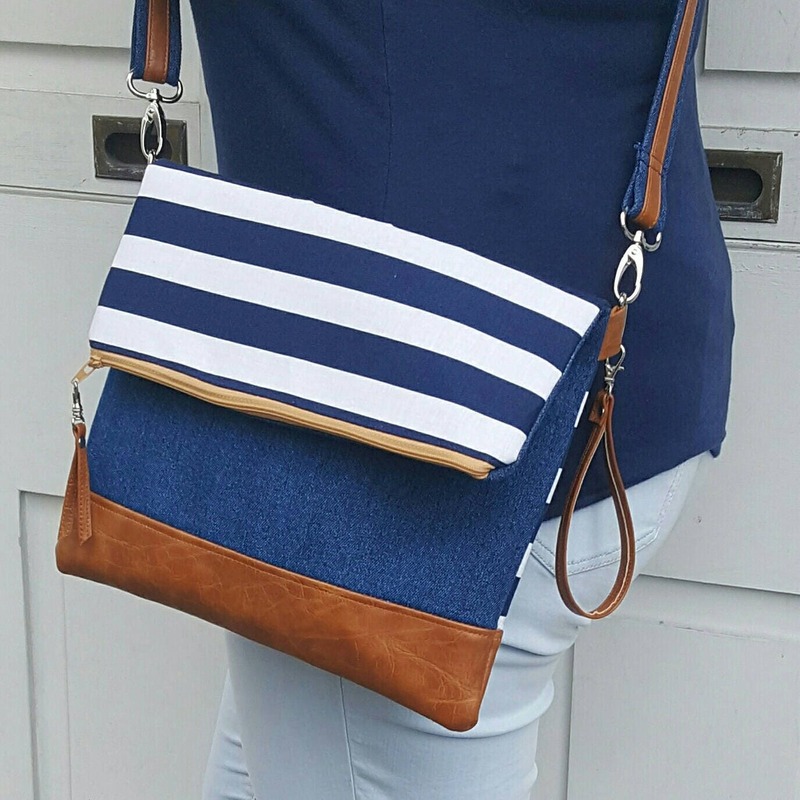 This one bag can go from Crossbody bag to Shoulder bag to Wristlet to Clutch. 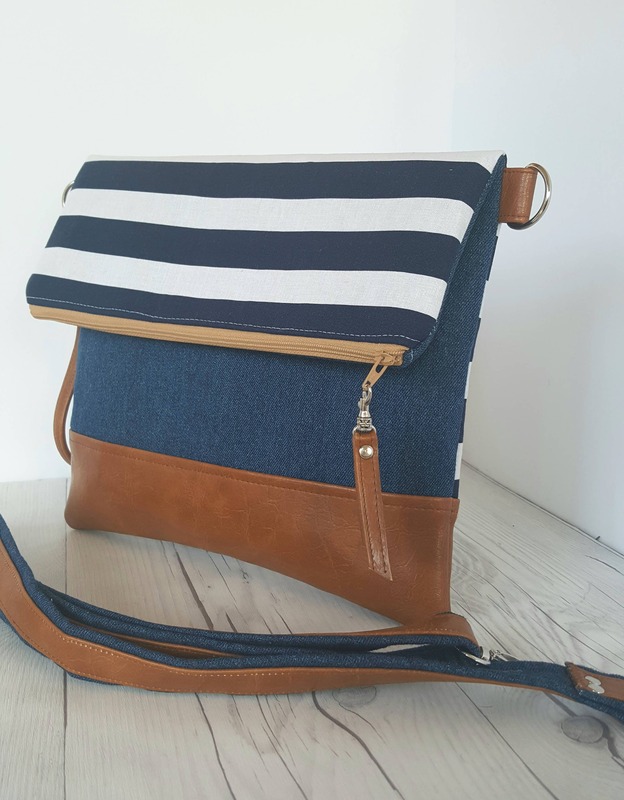 Quickly take this bag from day to night. Pairs well with jeans and blouse/shirt and/or a cute dress. 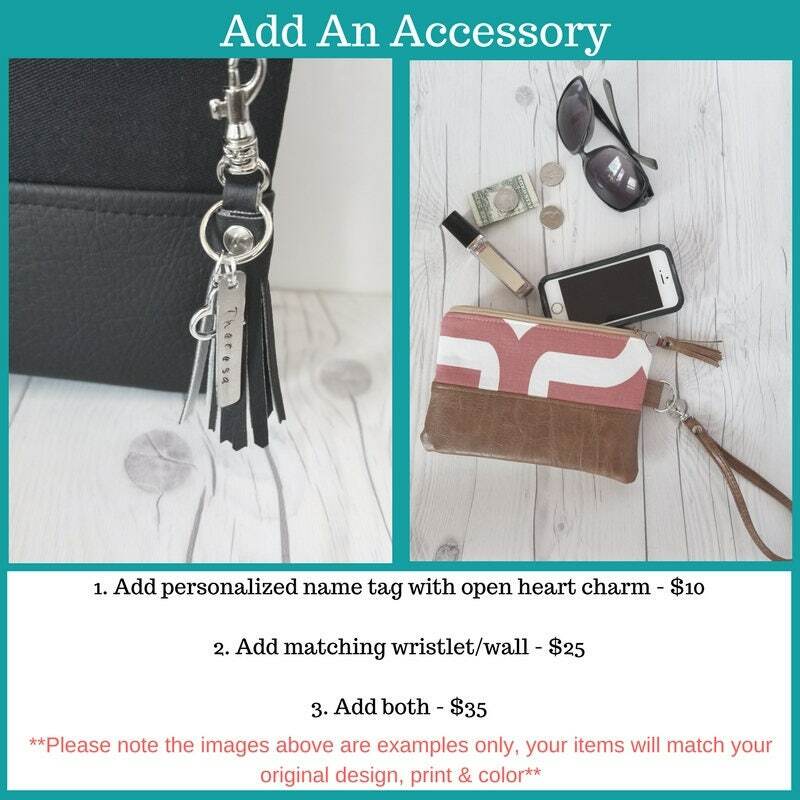 1) Custom nametag and heart charm are made of aluminum and each letter is hand stamped by our partners. 2) In notes section upon checkout, please indicate the NAME, DATE or, WORD you would like stamped onto your tag. NOTE: This tag can hold 10 letters or less and can only be stamped on front of tag.